Speed Cameras: Safer Streets or Lining Politician’s Pockets? MarkCopoulos Jul 13, 2014 Legal Updates Comments Off on Speed Cameras: Safer Streets or Lining Politician’s Pockets? 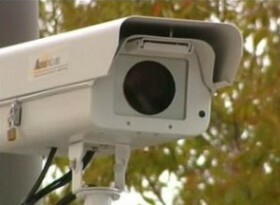 Speed cameras are a controversial issue in Philadelphia and surrounding cities in the Northeast. The cameras photograph and ticket cars going over the speed limit. In January 2014, Sen. Mike Stack introduced a bill to the state legislature to install speeding cameras in Northeast Philadelphia. Proponents argue the cameras save lives. Opponents view the cameras as intrusive, and another way to reach into taxpayer’s pockets. NYC and Washington DC have installed speed cameras. Philadelphia has a similar red-light camera program. Those who drive through a red light receive a $100.00 non-appealable fine via mail. AAA Mid-Atlantic is against the move. Per their public statement, “AAA opposes the use of automated speed enforcement systems that undermine the fair and reasonable enforcement of traffic laws and that will do little to improve traffic safety.” To view NBC’s coverage of this divisive and politically charged issue, click here.